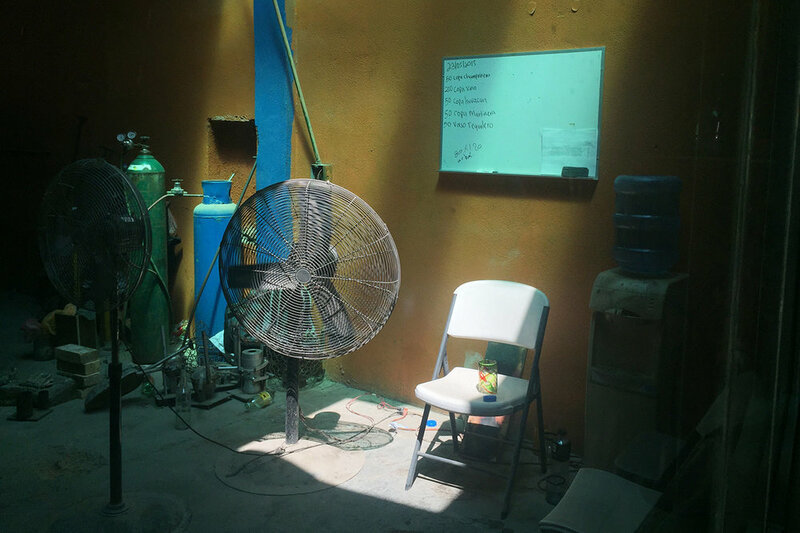 While observing glassblowers at work in their garage-turned-studio, I grew fascinated with the space around them; the smudged dry erase board with the day’s orders, the dirty floor that kicked up dust as they stepped, the rusted industrial fans providing them (little) relief from the heat. This ignited a curiosity within me about creatives and the spaces within which they create that persists today. Fostering this curiosity, I'm exploring an array of creative spaces and revealing how they become a mosaic of the work and artists within them. The images are real and candid. Shot on 35mm film with only natural or available light, I aim to merely be a fly on the wall during their creative process. Handcrafted skateboards made from recovered hardwoods. Visit Side Project Skateboard's website here. Experimental electronic music project by multidisciplinary creative James Templeton. Mixed media artist, neon light bender, and exhibit curator based in Oakland.